When you are buying a home, you need to show your lender that you have a down payment and access to funds to close. This money needs to come from sources that can be documented. This money needs to be fully documented before the transaction and when moving it from your bank account to your escrow account. Lenders are going to require at least 60 days of asset documentation from each source that your money comes from. This is required because your lender will need to verify that the money promised does exist and is eligible for use. Let us say that you have put your money into escrow and, as requested, you are doing the best you can to document the movement of money from the account going to escrow. This entails providing a bank statement specifically showing the money leaving your account and the money being accepted by escrow through an EMD (earnest money deposit). If you cannot get a bank statement, if it is the middle of the month and new statements are not out yet, the next best thing is to get a bank printout confirming the transaction and confirming the amount of money remaining in the account. The bank printout must show the date of the transaction and the current time stamp of the printout, confirming that the money has been moved prior to the printout date. If the bank printout does not have this information, it will automatically halt the closing process of your loan and delay your loan contingency removal or extend your close of escrow date. This method can be used for both your down payment and funds for cash to close. This is to provide authenticity for your account and to show clearly on paper that the account is yours and the money is yours to use. 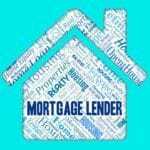 Banks and lenders require this information to be clear cut and “in your face”. Never assume that “common sense” will be enough. In addition, the bank printout and time stamp must show the remaining balance that is left in your account. For example, if you had $130,000 in assets and your down payment from this account was $50,000, your account statement should now show $80,000 remaining. If you are looking to purchase a home, talk to a seasoned loan professional who can walk you through properly documenting the money required to buy your home. Want to buy home? Get started with a complementary rate quote.